Read Ashley B's review of A Star is Born. “A Star is Born,” stars four-time Oscar nominee Bradley Cooper (“American Sniper,” “American Hustle,” “Silver Linings Playbook”) and multiple award-winning, Oscar-nominated music superstar Lady Gaga, in her first leading role in a major motion picture. Cooper helms the film, marking his directorial debut. In this new take on the tragic love story, he plays seasoned musician Jackson Maine, who discovers—and falls in love with—struggling artist Ally (Gaga). 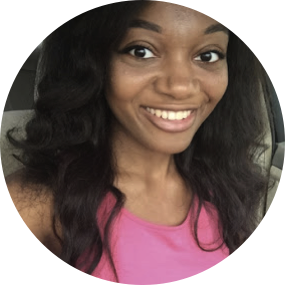 She has just about given up on her dream to make it big as a singer… until Jack coaxes her into the spotlight. But even as Ally’s career takes off, the personal side of their relationship is breaking down, as Jack fights an ongoing battle with his own internal demons. For the past 3 months for almost every movie you have seen in theaters the trailer for A Star is Born has probably followed you to each one. It has been on television and even the internet getting “Tell me something girl...” stuck in my head every time. I was expecting to watch an overhyped film as a result of seeing it everywhere. This however was not the case as Bradley Cooper took his directing debut film and ran with it to one of the best movies I have watched this year. 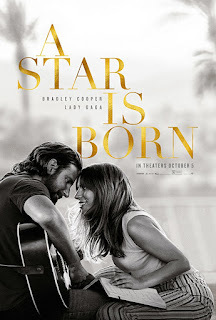 The raw and passionate acting and singing from both Jackson Maine (Bradley Cooper) and Ally (Lady Gaga) were enough to take me on an emotional roller coaster through their characters’ lives. Between the up and close film style mixed with the vulnerability of Jackson Maine and Ally, I felt so engrossed in their story and did not want it to end. The pure power of Ally’s voice mixed with the ruggedness of Jackson Maine’s were enough to make me want a full album from these made up characters. The natural look of Lady Gaga made me like her even more than I already did and Bradley Cooper looked realistic in his country boy attire and mannerisms. While watching this movie I cried because of the emotions it provoked and how real and in love the star couple felt. I am excited to see what else Bradley Cooper will direct and if Lady Gaga will continue in film because she was a natural.